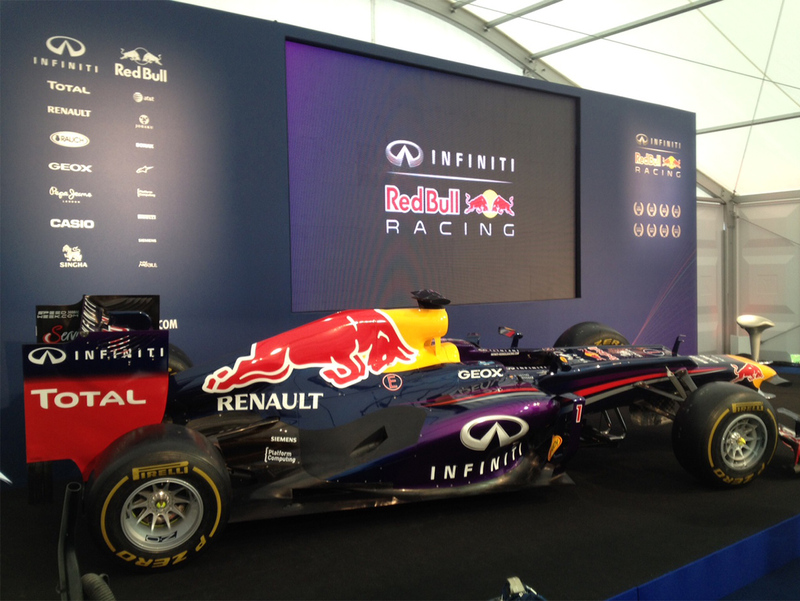 Anna Valley, working for event agency Full Circle, supplied a high resolution LED screen for Infiniti Red Bull Racing to celebrate the bringing home of the Drivers and Constructors World Championships. The press conference was an interesting mix of F1 press, national press and local press. Anna Valley selected Toshiba 6mm LED for the screen as its high resolution offered the audience excellent picture quality and features a large viewing angle for maximum audience impact. A total of 60 tiles of 6mm were used to create a screen size of 3.8m x 2.5m. The screen was built into the Infiniti Red Bull set for the press conference.